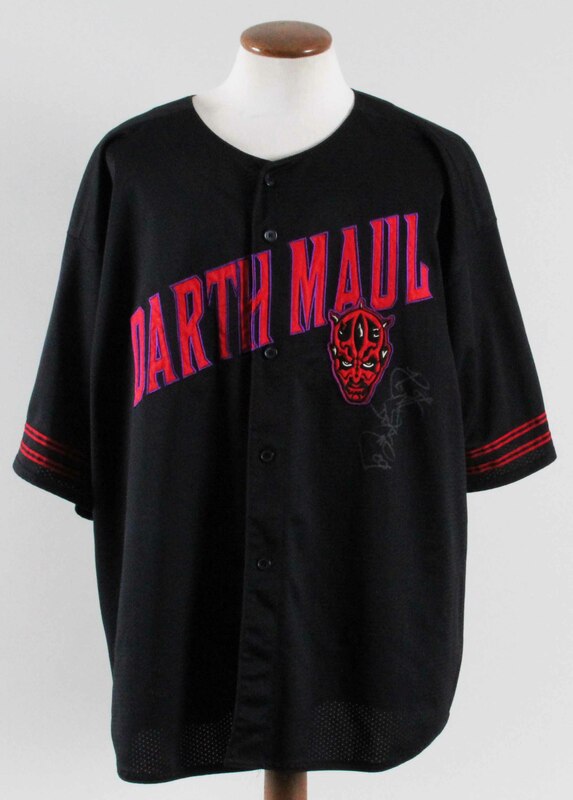 Presented is a custom Star Wars Episode I baseball style jersey autographed by Darth Maul himself, Ray Park. Park signed the front of the jersey in silver paint pen (“9”) near his character. The jersey was made by Lee size 2XL.